Create the perfect atmosphere for meditation and relaxation with these discounted incense sticks and incense holders! Incense burning has been recognized as one of the most effective ways to relax the mind and body. Allow the smell of amber or sandalwood help you achieve a feeling of tranquility. Here at Mrs. Lin�s Kitchen, we offer a great variety of incense aromas for you to choose from such as Jasmine, Pine, Vanilla, and much more! 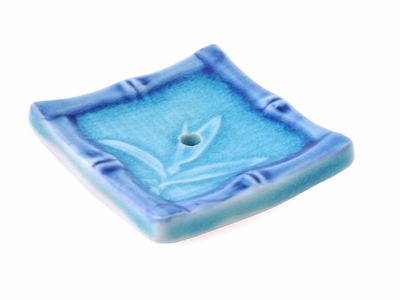 Although these incense sticks come with their own holder, if you find yourself burning incense often, you might even consider looking for a elegantly designed incense holder, such as our Blue Leaf Incense Holder or our Bright Yellow Crane Incense Holder. Whether you�re gifting these incense items to a high-strung friend or you want to fill your own home with the the smell of fragrant incense, these discounted incense sticks, burners, and holders will surely provide you with the contemplative ambience that you need.